Lynda Poort is an experienced ambassador for investment property owners in the Lake Area. She began in 1993 and now has over 24 years of Property Management and Real Estate experience. 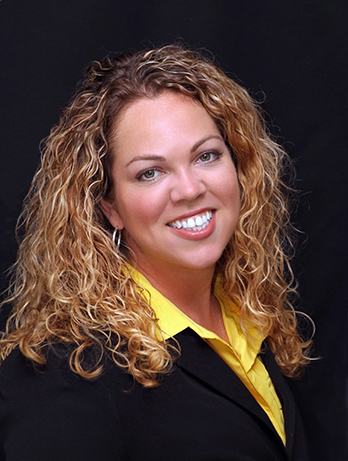 While working in Property Management, Lynda began pursuing Real Estate at the lake in 2006. In 2012 she started her LLC, "Vacation Rentals in Lake of the Ozarks" along with Real Estate in the beautiful Lake of the Ozarks. In 2017 she obtained her Missouri's Broker's License and opened her new LLC, Lake Ozarks Realty & Rentals with her husband David Poort, specializing in Real Estate AND Nightly & Long Term Rentals in the beautiful Lake of the Ozarks. During her years in the property management industry in DFW, Lynda has held various positions since 1993, which includes Property Manager, Marketing Director, Area Leasing Trainer and Rental Director. After managing the On-site Rental Program at Southwood Shores Resort in Lake Ozark for 6 years she jumped at the opportunity to open her own management company when the homeowners association had to close down the onsite rental program. Lynda has served on the Executive Board for Lake of the Ozarks Vacation Rental Association, Southwood Shores Home Owner Association, and the LOVRA Public Relations Committee for 6 years. She is a Past President of Lake of the Ozarks Rental Association. Lynda became a Certified Apartment Manager® (CAM) in 1997, Missouri Licensed Realtor in 2006 and Missouri Broker in 2017. Originally from Texas, Lynda and her two children relocated to the beautiful Lake of the Ozarks in 2006 to be near family. She currently resides in Lake Ozark with her husband David Poort who is an avid fisherman and also an active Realtor. Lynda's son, Joseph resides at the lake with his wife Malory, and is working in Sales and serving as the Youth Pastors at their Church. Lynda’s daughter, Victoria, is a graduate from Northwest Missouri State University with a B.S. in Psychology and Avila University where she completed her M.S. in Counseling Psychology. Lynda comes from a long family history of entrepreneurs including her great-grandparents who owned and operated the surrounding Lake Area Drive-In Theatres in the late 40's to early 80's.